This year, the Irish Educational Publishers Association (IEPA) formed a partnership with housing charity Habitat for Humanity Ireland culminating in the donation of over 4,000 high quality new books for delivery to 13 schools in the community of Ndola, Zambia. 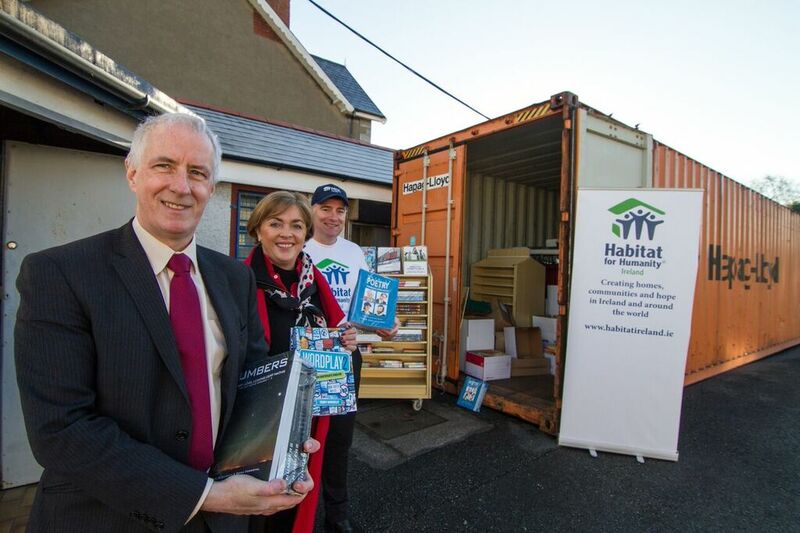 Michael Nugent, Cliodhna O'Donoghue and Vinnie Cunningham outside of the Habitat for Humanity Container. IEPA publishers including Edco, Forum, Mentor, CJ Fallon and Gill Education donated 4,300 textbooks which has been described as "A dream come true for our Zambian schools" by the charity. “Although we have been collecting books for a number of years, we have not previously had access to this sort of quality and volume of the same book, which makes classroom teaching possible on a proper professional scale,” said Michael Nugent, Dublin solicitor and Habitat for Humanity Ireland volunteer. The successful initiative means that 13 schools in Zambia will shortly have the resources to implement a higher standard of education. In addition, the 40 foot shipping container transporting the books from Ireland to Zambia will function as the community’s first public library. 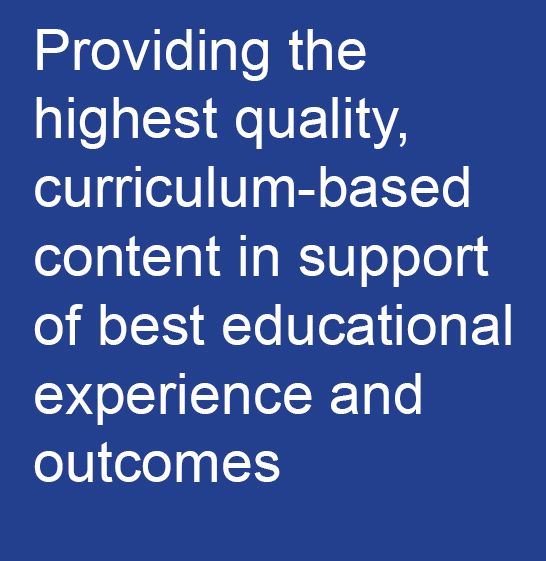 According to Cliodhna O'Donoghue of the IEPA, "Around 2% of the 2,550 titles published each year by IEPA members (about 50 titles) become obsolete each year, more than half of these due to curriculum change and these have formed the majority of donated titles. This year all ten members of the IEPA, which produce 90% of school textbooks in Ireland, will take part in the initiative and therefore the number of textbooks from the IEPA to Habitat for Humanity Ireland will increase further. The new initiative is being coordinated Michael Nugent who has made annual trips to Zambia with the organisation since 2008. Each year, he spends 2 weeks with a team of Irish volunteers in the community of Ndola, helping to build homes through Habitat for Humanity’s ‘Orphans and Vulnerable Children’ holistic housing programme, which is co-funded by Irish Aid. Michael’s experiences in Zambia led to his awareness of the lack of educational materials available to the local schools. He has since devoted a huge amount of time to delivering books to Graceland School in Ndola, in an effort to improve learning opportunities there. In 2014, for example, Michael and his fellow Habitat volunteers, delivered over 40 suitcases of books and teaching materials to the school. These efforts have had a dramatic effect. Graceland has come from being a school with no books at all, to having a well equipped library. It now achieves the best exam grades in the province. “What we received from the educational publishers were a huge volume of unused school textbooks which, although they might be out of date in Ireland, will be a dream come true for our Zambian schools,” said Habitat for Humanity supporter, Michael Nugent. “Habitat for Humanity Ireland’s mission is to build a world where everyone has a place to live. Decent housing is the very beginning for many families. Once families have a decent place to call home, they can concentrate on their studies and begin to plan for their future. Education is vitally important and goes hand in hand with housing. We are very grateful for the support and generosity of IEPA and its publishers,” said Vinnie Cunningham, Executive Director at Habitat for Humanity Ireland.